Lyonchhen meets Mr. Sam Blyth, Honorary Consul of Bhutan in Toronto and his delegation. 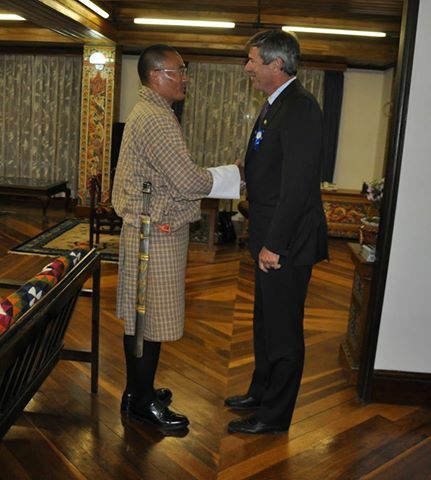 Mr. Blyth is also the Chairman of the Bhutan Canada Foundation (BCF) and a recipient of the National Order of Merit (Gold) awarded to him by His Majesty the King in October, 2013. BCF has been contributing significantly in the field of education in Bhutan for over 25 years and has assisted the Ministry of Education in the recruitment of dedicated, qualified, and certified teachers which have been posted in various schools across rural Bhutan.